Ana was born in New Jersey to Colombian immigrants and witnessed firsthand that hard work and dedication allowed her parents to become US citizens and ultimately purchase real estate. Through this wonderful experience, Ana’s future career path would be formed. Her background is deep within the industry having worked for several independently owned title insurance companies, a large national title insurance underwriter, and a regional new home builder. Additionally, Ana has personally bought and sold several types of properties over the years and has experience in new construction, remodeling and additions. Though Ana is passionate about many causes, she finds the most joy in helping others and uniting individuals with their wants and needs. This can be seen in a few of Ana’s hobbies. As a certified fitness instructor, she finds joy in helping people meet their fitness goals. Ana also has a natural eye for design and enjoys helping friends and family remodel, decorate or simply reorganize their homes. These are just a few examples of how understanding an individual’s goals will ensure success, Ana is confident she can apply these same skills to help you locate your next dream home or investment opportunity. She is bilingual and is fluent in both English and Spanish. Ana is married, has 2 beautiful daughters and has lived in the Lake Mary / Heathrow area since 2006. She would enjoy the opportunity to work with you and your family. 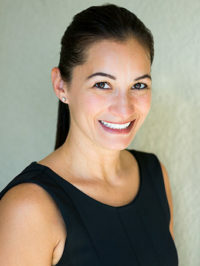 Please contact Ana today to see how she can help meet your listing needs or locate your next home.